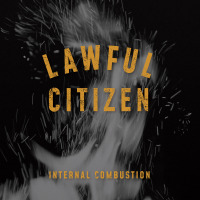 Internal Combustion is the first full-length record from the Montreal-based band, Lawful Citizen. Fueled by a fiery vision, the music takes a deep journey through the entire spectrum of human emotion. This album is influenced by the history of the internal combustion engine, particularly in the early days of motorcycle racing and land speed record attempts. The feeling of grit, brutality and rawness, along with the entire sensory experience surrounding the extreme danger were the largest inspirations for this music. 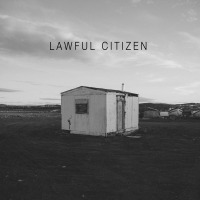 Fearlessly combining jazz, metal, electronic, and Americana, Lawful Citizen is an explosive force on the Canadian jazz scene. Formed in 2015 after meeting at McGill University, the band name reflects the discord felt by the common man, between remaining complacent and refusing to abide. The pendulum of their music swings from subtle beauty to relentless rage, driven by the musicality and sensitivity of the four musicians. After developing the music over a course of a year, the tracks were recorded, mixed, and mastered in Montreal. The resulting journey weaves together the sombre and the rough. The band’s signature sound is on full display with searing sax, fierce guitar, guttural bass, and propulsive drums. Their raucous blend of musical brutality, heavy emotion, and forward momentum is perfect for this moment in time. The Day After (Reprise); February 2nd; The Road to Nowhere; Shatter; Internal Combustion Suite I; Internal Combustion Suite II; Internal Combustion Suite III; Internal Combustion Suite IV; Nothing's Changed. Evan Shay: tenor saxophone; Aime Duquet: guitar; Antoine Pelegrin: electric bass; Kyle Hutchins: drums.